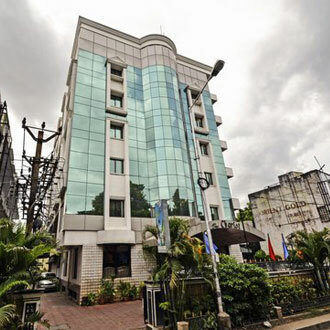 This 3 Star hotel is strategically located amidst the busy shopping district of T Nagar, near the US consulate. The property houses 40 centrally air-conditioned rooms, and also boasts two conference halls namely, the Golden Trumpet and Santoor, which can accommodate 25-120 people. The guests can enjoy a multi-cuisine fare at Curry Leaf Restaurant.